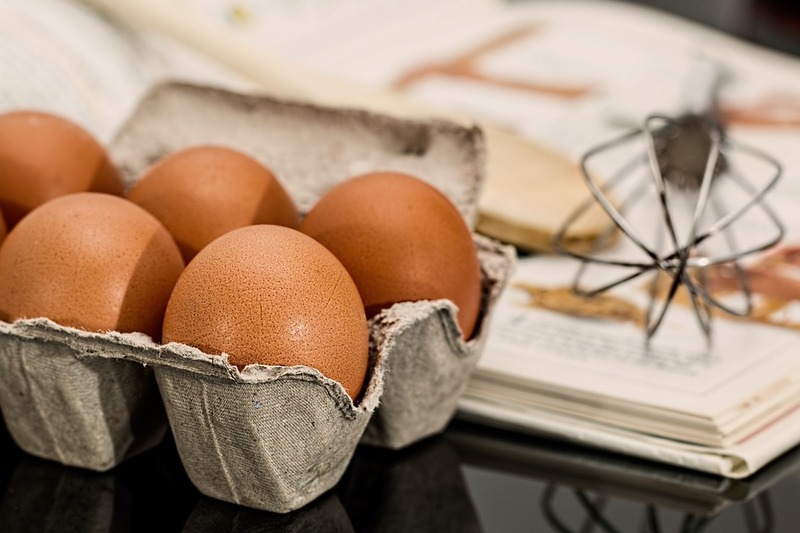 Home Health Egg Recipes That Can Benefit Your Body! Egg Recipes That Can Benefit Your Body! Eggs contains choline that can help your brain to be healthier. Researchers found that egg is very important to brain development for fetus and newborn babies. Eating an egg gives you protein that can help your body build and repair tissues. 1. Eggs with Soldiers:Place 4 eggs in a saucepan of boiling water, then cook over low heat, 4 to 5 minutes; drain. Slice off the tops and season with salt and pepper. Serve with toast strips. 2. Medium-Boiled Eggs: Place 4 eggs in a saucepan of boiling water, then cook over low heat, 7 to 8 minutes. Drain, peel and halve; top with herbed butter. 3. Breaded Eggs: Make Medium-Boiled Eggs (No. 2); peel, then roll in flour, dip in beaten eggs and roll in panko. Shallow-fry in vegetable oil, turning, until crisp. 4. Scotch Eggs: Make Medium-Boiled Eggs (No. 2); peel. Pat bulk sausage around each egg to encase it. Roll in flour, dip in beaten eggs, then roll in panko. Shallow-fry in vegetable oil, turning, until crisp. 5. Hard-Cooked Eggs: Place 4 to 6 eggs in a large saucepan, cover with cold water by 1 inch and bring to a simmer. Cover, remove from the heat and set aside, 8 to 10 minutes. Drain, then peel in a bowl of cold water. 6. Pickled Eggs: Make Hard-Cooked Eggs (No. 5); peel and place in a large jar, then fill the jar with pickled beet juice. Cover and refrigerate up to 1 week. 7. Classic Deviled Eggs: Make Hard-Cooked Eggs (No. 5). Halve lengthwise and scoop out the yolks. Mash with 1 tablespoon sweet pickle relish, 3 tablespoons mayonnaise, 1 teaspoon mustard, and a pinch each of cayenne, salt and pepper. Scoop into the whites. 8. Tarragon Egg Salad:Make Hard-Cooked Eggs (No. 5); chop. Mix with 3 tablespoons mayonnaise, 1 chopped shallot, 1 teaspoon white wine vinegar, 1 tablespoon chopped tarragon, and salt and pepper. Serve on pumpernickel bread with sliced cucumbers. 9. Tea Eggs: Make Hard-Cooked Eggs (No. 5); crack the shells but don’t peel. Simmer in a saucepan with 1/2 cup soy sauce, 3 cups water, 4 star anise pods, 3 black tea bags and a strip of orange peel, 1 hour. Drain and peel. 10. Egg-Mushroom Salad: Make Hard-Cooked Eggs (No. 5); chop. Fry 2 cups sliced mushrooms and 1 cup chopped onion in 1/3 cup olive oil. Mix with the eggs, 3 tablespoons sour cream, chopped parsley, and salt and pepper. Serve on rye toast. Next Article : The Yolk Is No Joke! Find Out The Real Truth About Yolks Here!